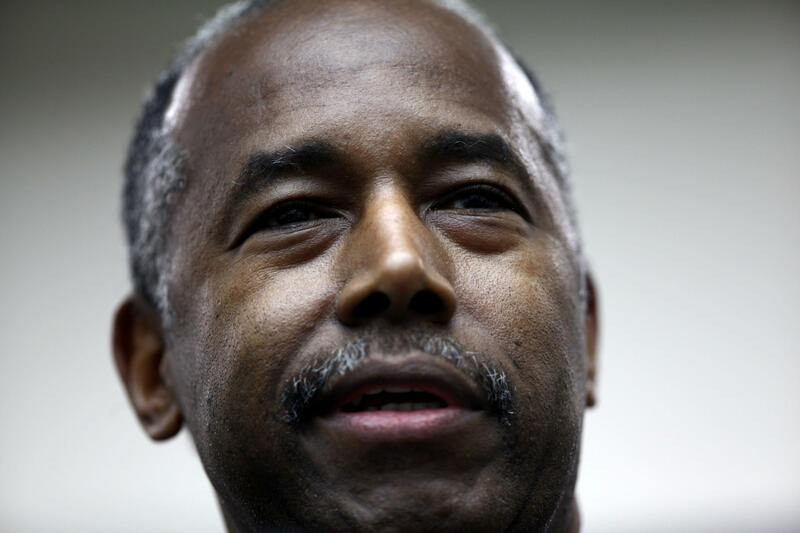 A spokesman for the Department of Housing and Urban Development says Secretary Ben Carson has asked to cancel an order for an expensive dining set that prompted outrage earlier this week after revelations that it cost roughly $31,000. Raffi Williams said Thursday that at Carson's request "the agency is working to rescind the order for the dining room set." HUD officials say the purchase was made without Carson's knowledge. The agency says the dining set was considered a "building expense" and that Carson bought only blinds for his office, which cost less than $5,000. White House Press Secretary Sarah Huckabee Sanders addressed the pricey furniture purchase at Thursday's briefing, saying HUD is now looking for "another option that is much more responsible with tax payers' dollars." Sanders rebuffed claims that the president was looking to remove Carson, along with any other members of the Cabinet in the wake of revelations of controversial spending by various cabinet secretaries -- including Secretaries David Shulkin and Scott Pruitt. "If you're asking if he's getting rid of anyone on the cabinet, I'm not aware that's taking place," said Sanders. Both Shulkin and Pruitt raised eyebrows for their expensive travel accommodations while conducting official business for the administration. Shulkin has since said he will reimburse the Treasury Department following revelations of an internal watchdog's investigation surrounding the secretary's improper travel expenses for a trip to Europe last year. Meanwhile, Pruitt recently told CBS News' "The Takeout" podcast "there's a change coming" when it comes to his security, which he claimed was the reason behind his controversial expensive travel. Sanders added, "We've been reviewing a lot of these actions and making sure they're being responsible with tax payers dollars. This is something the president has asked all of his team to go back and look at."